DJI, short for Dà-Jiāng Innovations Science and Technology Co., Ltd is a Chinese technology company headquartered in Shenzhen, Guangdong. They were on campus last month showing off their coolest drones. 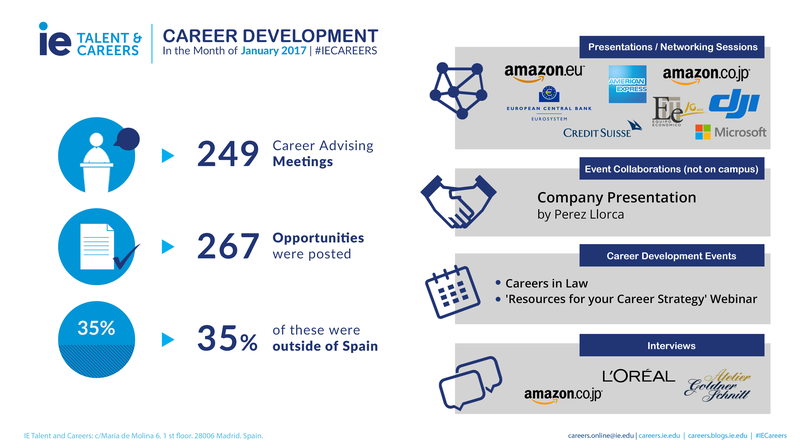 The following is a summary of IE Talent and Careers‘ career development activities with companies and students during the month of January. As a result, the department is able to provide on-going, top quality service to students across all IE programs.